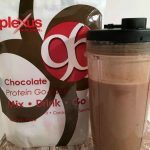 For over 6 months now my breakfast most days consists of a protein shake using Plexus P96 protein powder. Back in December I shared my Strawberry Banana Smoothie Recipe and today I am sharing my decadent Chocolate Dream Protein Shake recipe. I have the strawberry smoothie 4-5 times a week and the chocolate dream only once. I’m also working on some other recipes I’ll bring you when I feel they are perfected. 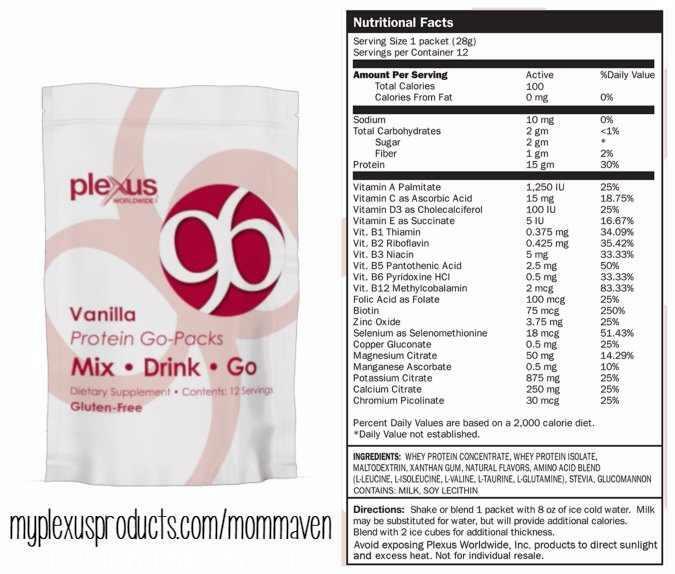 Plexus P96 Protein Powder is a gluten free, non GMO, 100% vegetarian, whey protein powder. It provides sustained energy, helps control hunger and curbs cravings. It also helps build lean muscle. Plexus P96 Protein Powder comes in convenient on-the-go packs to make it easy to use at home, at work, or even on vacation. Each packet is only 100 calories and had 15g of high-quality whey protein. It also contains more than 20 vitamins and minerals for optimal nutrition. For years my breakfasts consisted of sugary cereals in 2% milk with additional sugar sprinkled on top. Then in my quest to be healthier I switched to bagels smothered in Nutella! Ha!! All of those sugar and carbohydrate laden breakfasts made me tired and I wasn’t full long and I quickly craved more sugar. When I have a Plexus P96 Protein Powder shake or smoothie I am satisfied for hours. My lunch is now typically nuts and cheese and then I eat a delicious dinner. Thanks to all of my Plexus products my sugar cravings are gone! I seldom feel hungry and my body functions better. 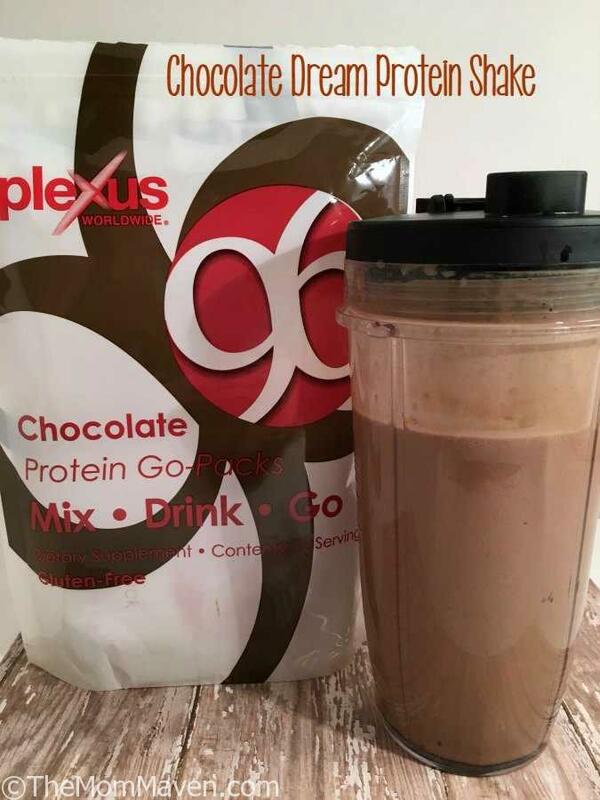 Breakfast doesn't taste better than this Chocolate Dream Protein Shake with Plexus P96 Protein Powder. I make this shake in my Nutri Ninja and it has a specific order to load ingredients for optimal mixing. Place ingredients in the blender in this order. Mix for 1 minute, I use Smoothie with Auto IQ Boost. Then scrape down the sides with a spatula, the peanut butter likes to stick, and blend for another minute. To make this even healthier use a low-fat peanut butter or a fat free peanut butter powder. If you want more information on this or any other Plexus product please just Email Me, I am here to help you get healthier and happier! I hope you enjoy this recipe and all of the easy recipes I share here on The Mom Maven. I hope you share them on your social networks. I just ask that you not copy and share the entire recipe with photos. Please use the sharing buttons below and share the link to this post. Thanks!